Integrated web-based access to all applications, data, email, file sharing and collaborative tools. Cloudhive enables you to work seamlessly and easily with Windows based applications as well as with web-based and SaaS apps. Have an increased security process when logging on. Cloudhive provides additional network access security so users feel more protected with passwords up to 40 characters. Configure and manage user password attributes, capabilities and limitations. Control log in access, privacy levels, required password resets and even each user’s permission to reset their own password—all set up and managed quickly. Administrators can control when users can log in and how quickly a screen locks after a period of inactivity. Increase authentication with a 2-factor process similar to what is used in the banking industry. This adds a valuable layer of login security for networks and is required to meet certain compliance regulations. Cloudhive provides turnkey, on-demand 2-factor authentication on a per user, group or company basis – implemented with just a click of a button. Have increased performance, you simply rent the computing power that your organisation is in need of, that gives you the control you desire while lowering your capital expenditure. Have increased agility and scalability as IT solutions are delivered quickly to new employees, remote offices and current staff members. Have a large cost-effective subscription based service that houses all your data inside a secure cloud while preserving and lowering operating costs. This eliminates the need to forecast and invest capital in the growing needs of the organisation. Have improved internal communication with the online department or individual communication gadget. With announcements that are seen as soon as they are posted, as well as staffing schedules, important dates, HR policies, notifications and birthday wishes. 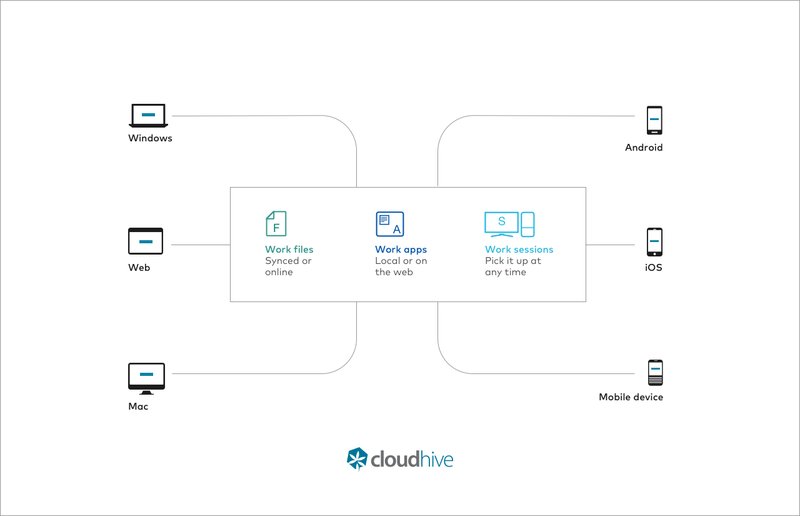 Cloudhive Webtop enables end-users to ‘bring your own devices’ (BYOD) Cloudhive Mobile is an easy-to-use and full-featured version of the Cloudhive Webtop, optimised for smaller devices such as iPhones, iPads and Android devices. With the mobile Webtop, users have access to all their data, applications and tools on the go. For devices that support touch, the mobile Webtop is touch friendly so browsing is very simple and fast when on-the-go. The Cloudhive Virtual Desktop is the only virtual desktop solution that integrates all your apps and data in the cloud – SaaS apps alongside Window-based, legacy, custom apps – administered and accessed simply in one place. Cloudhive Virtual Desktop is more than just a standard Windows Desktop. Our Virtual Desktop features an easy-to-use Web-based interface for users that’s accessible anywhere, anytime. It serves as both entry point and navigation tool for a company’s enterprise-wide workspace and helps you seamlessly secure, manage and deliver information. SSO is a Cloudhive virtual desktop capability that enables the use of a single user id and password to access all applications even if they require a unique id and password. 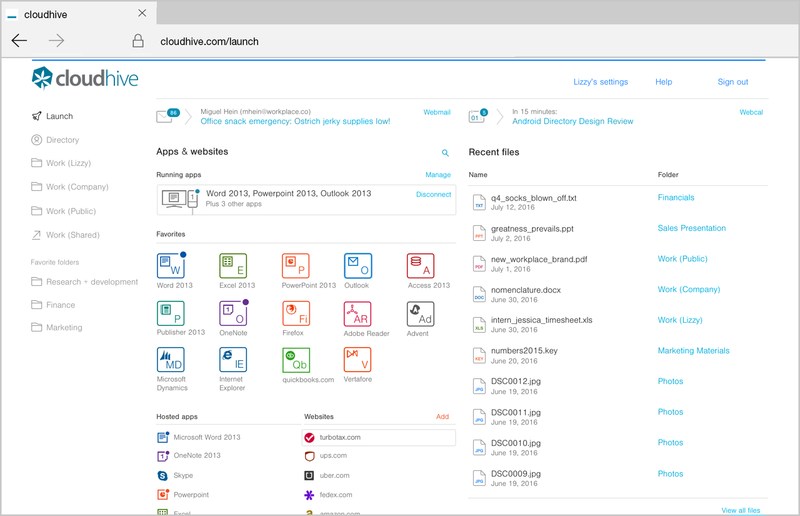 Access apps from a catalog of thousands, with support for automatic login to Sharepoint, Google Apps, Exchange, Outlook, Amazon EC2, and legacy apps are built-in. The Cloudhive Web Based Virtual Desktop features a customizable look and feel – whether company-wide, or for specific workgroups or departmental users. With intuitive point and click configuration, end users, IT admins or company managers can further customize the user virtual desktop quickly and easily. Pause work ability enables you to keep your Webtop as is when leaving work, and there is no need to close applications and documents. When you log back in the Webtop will be exactly as you left it. A simple email administration interface allows automated access to Microsoft Exchange, Google Apps, or Office 365 from any Internet link in the world. This enables end-users secure and encrypted access to all their IT assets presented on the same desktop that they use when they’re working in the office. Integrate all your apps and data in the cloud – SaaS apps alongside Window-based, legacy, custom apps. Manage and consume Google Apps services, including Gmail email, calendar, tasks, docs and more, as part of the Cloudhive unified IT solution. Google Apps integration provides your company greater agility and flexibility, as well as bottom-line cost reductions. Take advantage of the simpler Gmail email services to cut costs and benefit from the consumer-friendly Google Apps services and collaboration features. Microsoft’s Office 365 includes enterprise class business tools and email features including spam filtering, archiving, compliance, and unified communications. 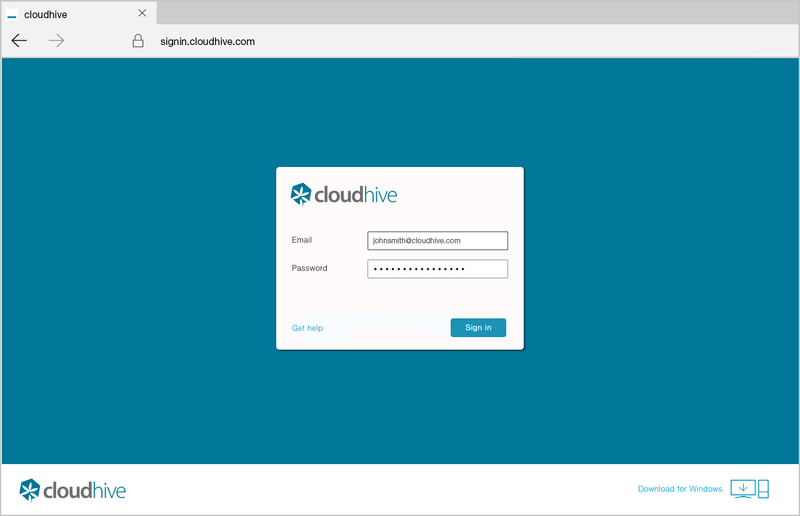 The Cloudhive Portal integrates directly with Office 365 providing all of the benefits of Office 365 while keeping our single-sign on and automatic provisioning from within our Portal. Cloudhive includes a set of intuitive, easy-to-use administration tools offering point and click flexibility for setting up user groups and permissions. Create organizational structures that complement and enhance your business model, workflows and information processing. Save time managing user permissions by leveraging Groups for quick and easy setup of user privileges, access rights and restrictions. Advanced options are available for more specific user management requirements. Consumption of licensing and resources is tracked in real time with dynamic reporting capabilities for end users, clients, and service providers. All changes to allocated resources, such as adding or removing users, assigning new applications, etc is logged for audit purposes and immediately flows to reporting for accurate and timely tracking capability. Take advantage of the best the hybrid cloud has to offer. Federated applications, group accounts, IT provisioned apps and even individual accounts give managers the ability to turn users and apps on and off. Cloudhive architecture extends your server resources and gives you the flexibility of extending to other datacentres. Leverage your own infrastructure interchangeably with a virtually unlimited supply of cloud resources from Cloudhive. Simple to use and all in one place! Ensure your team is ready to tackle the world. Cloudhive’s Windows, Mac and web apps allows your team to run any PC program inside or outside the office. One secure sign-in means you only need to remember one password to access all your files, apps and websites. Cloudhive’s on-demand file system automatically syncs files on smartphones, laptops and desktops. Cloudhive gives you the freedom to share and collaborate whilst making sure you stay secure with three levels of security.